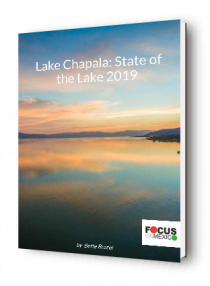 Focus on Mexico is excited to welcome our next group of potential Lakeside residents on August 12-17. Here are some tips to help you maximize your experience. 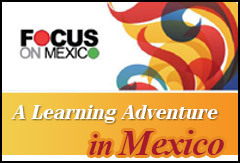 The Focus On Mexico 6-Day Learning Experience is a program for those seriously thinking of moving or retiring to Mexico. With expert speakers making presentations in the mornings, and outings and tours in the afternoon, one attendee commented, “The Focus On Mexico Program is like a guided vacation with built in tours.” However much fun it may be, most who come to the 6-Day “Crash Course” on Mexico are there to do their ‘due diligence’. 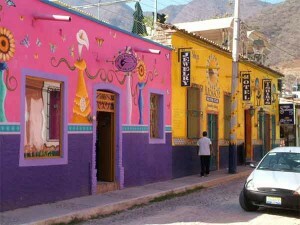 They come to make sure that Mexico is right for them, and in particular to thoroughly check out the Lake Chapala area. know what your next steps will be to get you to your goal of moving to Mexico. Get cash – It’s a good idea to have some pesos on hand when you arrive and one of the most economical way to purchase pesos is through your local bank (provided it has a foreign currency department). Depending on the amount you are exchanging many banks charge a small or even no commission. See Money tips for Mexico. Pack sturdy walking shoes/sandals – It’s said that when you walk on the cobblestones in Ajijic, you move every bone in your foot, which is actually healthy, but if you are planning on exploring on your own or possibly joining the local hiking group for a hike, be sure to bring appropriate shoes and save your dancing shoes for Wednesday night at Manix. Don’t let a fall put a damper on your trip. Sun hat and sun screen – At 5,000 feet altitude it’s important to pack and use a sun hat and sun screen. The sun is more intense than you realize and altitude sickness has a tendency to sneak up on you so that by the time you start to feel dehydrated, you may need to stop and recover. Formulate your questions – Write down your most important questions before you leave home and make sure they get answered while you are at the seminar. If they’re not written down, it’s easy to forget questions you had in mind amidst the plethora of information delivered during our crash course. codeine. Click here for a list of items prohibited when entering Mexico. Visa – Until recently flight attendants passed out blank immigration cards on the airplane for passengers to complete, but now you can fill out your own immigration card online, print it and bring it with you instead of doing it on the airplane. (If you don’t print out the immigration card or receive one on the airplane, blank cards are available just inside the airport.) Keep the portion of the immigration card that the official stamps and hands back to you. You will need this to exit the country. Hydrate – Again, it is important to stay hydrated at altitude. Our van always has drinking water on hand, but it is good to have your own supply. The general rule of thumb is to drink more water than you would at home. Electrolyte, the local oral rehydration drink, is available at OXXO (Mexican convenience store), and most of the small liquor and abarrotes (general store). A calorie free version, SueroX, is available at the local Walmart. These products are much better than the well-known sports drinks because they contain fewer complex sugars for your body to absorb. Monitor your alcohol consumption – A good rule of thumb is to drink a glass of water for each alcoholic drink consumed. Hangovers at altitude are worse so better avoided all together. Medications – If you are considering self-insuring in Mexico, visit a local pharmacy with your medications to ascertain their cost and availability locally. Most of the larger pharmacies such as Farmacia Guadalajara have some English speaking personnel. Explore – If you can, plan on staying on after the program to do some personal exploration. We can help you arrange tours and/or transfer to a Bed & Breakfast so that you can experience a different location. See as many neighborhoods and different properties as possible. Your dream neighborhood or home may turn out to be totally different than what you had in mind before arriving. See Lake Chapala Neighborhoods Part I and Part II for more information about Lakeside neighborhoods. Take notes and make your own to-do list – If for no other reason, taking notes helps you remember the presentation. Most information is forgotten within a few days, so take time in the moment to summarize your top take-aways from each talk, and what your action will be, i.e. email immigration lawyer. 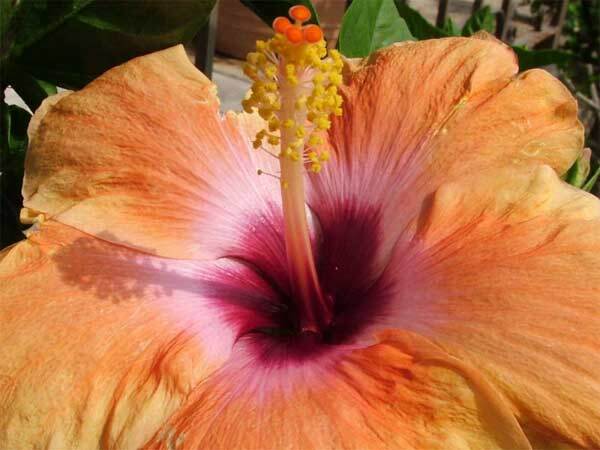 Ask questions – Be sure that the questions you formulated before leaving home get answered. If you don’t hear the answer to one of your questions, speak to one of the presenters or staff and we will help you find the information you’re looking for. All of our presenters are available for questions following their presentation, so take advantage to get answers to your specific questions. Network – Make connections with the other program participants and the experts you may want to work with. Your Focus manual will contain contact information for both participants and experts, but you should be sure you make a personal connection with those you want to talk to later. One of the most important parts of any conference is not the sessions themselves, but the interaction with other attendees and presenters that can provide the beginning of your local network. We make this easy for you with group lunches and dinners where you can network with participants and Focus on Mexico alumni who are now local residents. Make your own gatherings – Everyone wants to socialize, but someone needs to take the lead. We have found over time that our participants tend to connect with each other and even make long lasting friendships that start with meeting up for a drink or meal outside of the planned outings. So think about taking the lead and inviting others in your group for an informal meet up. Above all, enjoy everything this wonderful country has to offer and let your sense of humor, adaptability, and patience guide you through the experience of a lifetime. Relax and have a good time. We look forward to greeting and showing you around Lakeside! Sign up now for our one of our fast track learning seminars and see if Lakeside living is in your future!